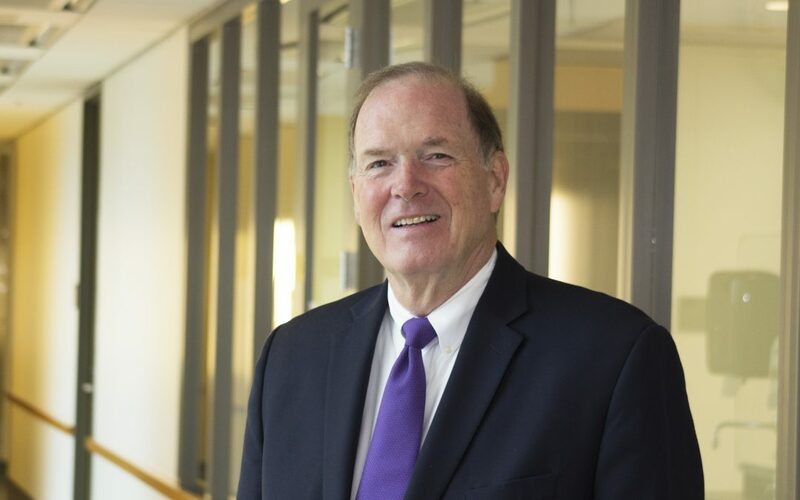 Thomas O’Halloran, Director of the Chemistry of Life Processes Institute and its Center for Developmental Therapeutics (CDT) is pleased to announce that William Sargent, PhD, former President of Lorex Pharmaceuticals and current member of Chicago Innovation Mentors, has joined the CDT as its new Entrepreneur-in-Residence. Dr. Sargent has over 30 years in the pharmaceutical industry, preceded by 10 years as an independent researcher in academia. He will provide mentoring in the drug development process, from initiation to FDA marketing approval, to interested researchers across campus looking to explore commercialization. Sargent plans to spend time on both the Chicago and Evanston campuses and be widely available to those interested in his consultation. Consultation appointments made be made via email at bill.sargent@northwestern.edu . Sargent is well-versed in the therapeutic development emerging from local universities, having served as member of the Chicago Innovation Mentors (CIM) program since 2013. Previously, he held senior positions at Pfizer, Hoechst-Roussell Pharmaceuticals, Lorex Pharmaceuticals, Searle, and Pharmacia. As President and General Manager of Lorex, he oversaw FDA approval for direct to consumer advertising for the lead product Ambien. He led the international launch of Sutent® for renal cell carcinoma and gastrointestinal stromal cancer while Senior Medical Director and Team Leader for the anti-angiogenic portfolio at Pfizer. Dr. Sargent received a PhD in physiology from the University of Tennessee Center for the Health Sciences where he remained as faculty in Physiology and Biophysics for approximately 10 years. Sargent officially joined CDT as visiting scholar in March 2018. CDT, founded in 2009, was established to rapidly and efficiently advance novel therapeutic interventions from basic research to the clinic. Through positions such as the Entrepreneur-in-Residence, CDT expands the University’s capabilities and footprint in the translation of novel therapeutic agents in close collaboration with the Innovation and New Ventures Office (INVO), NUCATS, and Chemistry of Life Processes Institute centers and core facilities. CDT provides translational services to clinical investigators who may lack laboratory facilities and/or expertise with in vitro and in vivo models of disease. The Center also provides translational services to basic science investigators who lack expertise and training to evaluate compounds in vitro and in vivo. The Core provides an array of preclinical animal models, including a broad repository of novel patient-derived xenograft (PDX) tumor models. For more information, please visit cdt.northwestern.edu.